Our list of cabins for rent in Big Bear keeps growing! 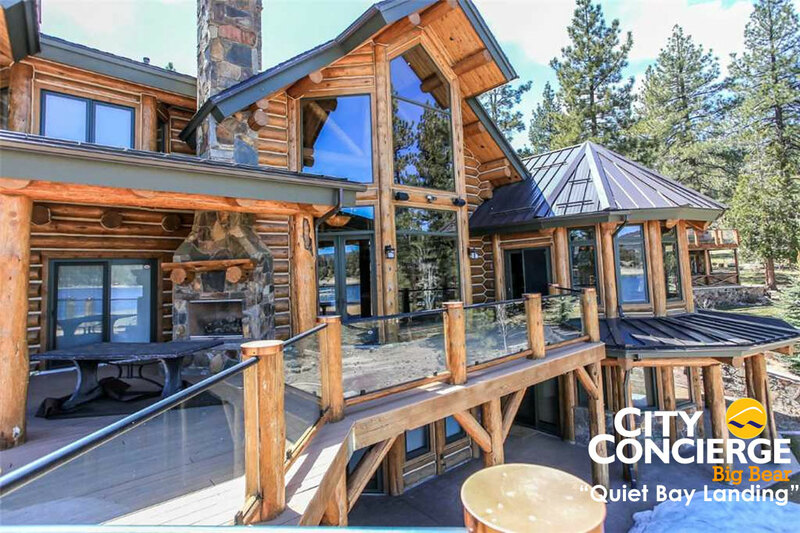 City Concierge works with the businesses in Big Bear to give you the best supply of rentals available. When you check our site for rentals or business information, you are using our one stop electronic concierge service to plan your Big Bear vacation. Our rentals come in all sizes, each with different amenities and many are pet friendly. You can make your reservations instantly and there is no need to make an "inquiry" to find out if the property is available like on other vacation rental by owner type sites. Our properties come with 24 hour service, and we're there to help you if you have a problem. Why would you trust your vacation to an absentee owner? The cool Big Bear vacation rentals are found in the town and some are walking distance to Snow Summit or Bear Mountain. Many of the luxury properties are lakefront, or high on the mountain above Bear Mountain. You'll also find beautiful places to stay in the quieter Fawnskin, which is the northside of the lake, or in Sugarloaf, which is the east side of the mountain. Sugarloaf is known for its horse property and stables too. Come find out why we've become the standard in cabin rentals. Make your reservations today.